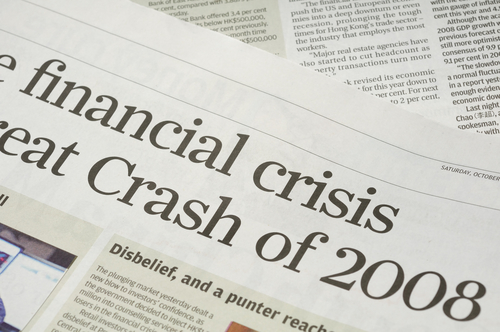 In the 2008 financial crisis there were several acronyms that popped into the common vernacular simply because they were at the root of the problem. Most of these arcane instruments were difficult to understand, confusing nearly anyone who was not at the heart of dealing with them on a day to day basis. CDOs, CDSs, Mezzanines and Tranches were the buzz words of the crisis. The instruments themselves, however, were not in fact the weapons of mass destruction that they were labeled. Instead, it was the validity of the information that the financial instruments were based upon that was the root of the problem. Basically, these financial products were debt instruments and vehicles to purchase the debts of other individuals. These debt instruments were backed by home mortgages of people across the United States. Some of these financial products were either the debt obligation itself, or an instrument to hedge the risk of that debt security. Some of these financial products worked as a side-bet, if you will. Imagine that you and a friend are betting on the outcome of a turtle race. An example of a side bet would be two people betting not on the outcome of the turtle race, but on the outcome of your bet, whether or not you or your friend will have to pay out. That is a lot of what was going on with these instruments. To understand this, the simplest way to explain is with an analogy. Imagine you buy a piece of a whole apple pie at your favorite coffee shop. In purchasing the slice of apple pie you are working under the following assumptions: All of the apples were fresh, cleaned properly and free of pesticides. You’ve had a slice of apple pie before from this coffee shop and there were no issues with it, so you decide its worth the risk. What is the risk, however? If one apple in the batch of apples used to make the whole apple pie was rotten, you rationalize that the rotten taste would not be visible given that all the other apples are fresh. These financial instruments work very similarly to a slice of apple pie. You are only buying one slice and so the risk is fairly small that your slice would be fully filled with that rotten apple. At the same time, the coffee shop where you purchased the apple pie has been an establishment for decades so you conclude that the products served must be good on a consistent basis. However, these are assumptions. What if the coffee shop owner reduced his quality controls and started paying for cheaper apples, many of which were rotten, yet continued to label his apple pies as the same quality and product as has been served for decades when in fact the stated standards were above reality? In fact, with these financial instruments, it is very likely that the people who were inspecting the products before they were sold were not as truthful as they could have been and disregarded their own internal standards for quality control given the mutually beneficial financial relationship that relied on the ratings industry to positively rate their clients’ financial products. If a major bank wanted to sell a mortgage backed product to a retirement firm they would have to have the product rated by a rating agency. It might be that a state pension program is only allowed to invest in high-quality investment grade products. So, in order for the investment bank to sell the product to the retirement firm, they would get the investments rated to the standard necessary to make the sale. What the investment bank was lumping together a multitude of different kinds of mortgages (apples) into one package. It is sort of like placing ten different types of apples into one big pie. But, the “different” kinds of apples had nothing to do with the idea that one apple was a Granny Smith while another was a Fuji. Instead, these apples may very well all have been Granny Smiths, but, they were in various stages of decay. Some of these apples were fresh, while others were brown and starting to ferment inside their own skins. If all went well, no one could pick out the various flavors any one apple may have produced, but, instead the entire apple pie would have tasted very good. That is exactly what was being sold to the customers. But, in order for the grading system to work, the people doing the reporting would have to rubber stamp whatever was necessary onto the instrument. The best part was that if you were going to buy any of these products you did not have to buy the whole product. You could just buy a slice, just like a pie. The word “tranche” is actually French for slice, or piece. The products were mixed and matched adding a few of the lower rated bonds (rotten apples) to a much larger portion of higher rated bonds (fresh apples). The theory was that while there may be one potential bad apple, in general all of the bonds would perform and likely support the weight of the under-performing debt instrument. There were various levels of the investment product that you could purchase into, depending on how much you wanted to pay and your tolerance of risk. If you wanted the highest rated levels you could purchase those levels. But, if you bought the top of the tranches you often got the lowest interest rates simply because these products were higher quality, hence lower risk and lower return. The lower down the tranches you went the more lower-quality debt instruments were mixed in with a smaller amount of high-quality debt instruments. In general, the ratings industry was rubber stamping whatever was necessary for these products to be sold. There are only three major ratings companies. If a major investment bank wanted something rated a certain risk level, they would call up one of these rating companies and get them to rate the product as such. If that company disagreed, then the investment company took their business to another company. The ratings industry was almost compelled to play along in order to get the business necessary. This began a very slippery slope for the financial industry. The fact that many of these financial instruments were rated so positively, in part, led to the whole world being blindsided by the onset of the financial crisis. As such, it is critical that you always review all your investments yourself and understand how the business or investment works before allocating your funds. Always read disclaimers and always consult an independent third party when making financial decisions. Blindly throwing money into “guaranteed risk-free investments” is often fraught with losses. PreviousStudent Loans Crisis: Is College Worth It?